What do you do then? Ummm, bite your nails? Run the fastest to a secret place like the black hole for instance! Seriously I dont know why I am writing this. There are reasons though. Like there are reasons for everything so here goes: I am afraid "Ire" will die out... Ummm, actually cant think of anything else for now. So anyways back to the main issue, I think he new batman is "oh-so-hot". 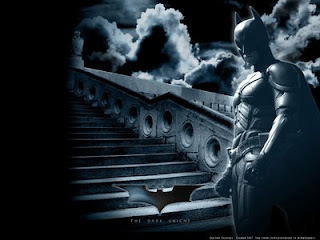 What I am trying to say is that whoever, guy/gal, misses The Dark Knight....sheesh shame on U! You have to see it... I am definitely going again and yes, if my mother doesnt find out the second time round, then I can watch it the third time round!!! P.S: I have been working for a little over two months now with ANIMATION REPORTER, now available at Landmark and Crossword stores all over...so go have a look! I LOVED 'The Dark Knight'. Have seen it once so far. Heath Ledger--->legend just cos of this role. I second your opinion...going to watch soon again! yay! What? you havent seen it yet? Go man..jaldi jao& dekho! I get a raise soon!